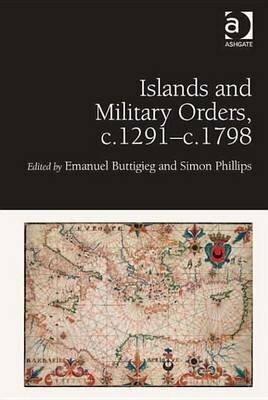 At the heart of this volume is a concern with exploring levels of interaction between two particular objects of study, islands on the one hand, and military orders on the other. According to Fernand Braudel, islands are, often brutally, caught between the two opposite poles of archaism and innovation. What happened when these particular environments interacted with the Military Orders? The various contributions in this volume address this question from a variety of angles.1291 was a significant year for the main military orders: uprooted from their foundations in the Holy Land, they took refuge on Cyprus and in the following years found themselves vulnerable to those who questioned the validity of their continued existence. The Teutonic Order negated this by successfully transferring their headquarters to Prussia; the Knights Templar, however, faced suppression. Meanwhile, the Knights Hospitaller conquest of Rhodes assured both their survival and independence. Islands are often, by definition, seen to be embodiments of 'insularity', of an effort to be separate, distinct, cut-off. Military Orders are, conversely, international in scope, nature and personnel, the 'first international orders of the Church', as they have often been described. Therein lies the crux of the matter: how did insular outposts and international institutions come together to forge distinct and often successful experiments? Hospitaller Rhodes and Malta still impress with their magnificent architectural heritage, but their success went beyond stone and mortar and the story of islands and military orders, as will be clearly shown in this volume, also goes beyond these two small islands. The interaction between the two levels - insulation and internationalisation - and the interstices therein, created spaces conducive to both dynamism and stability as military orders and islands adapted to each other's demands, limitations and opportunities.